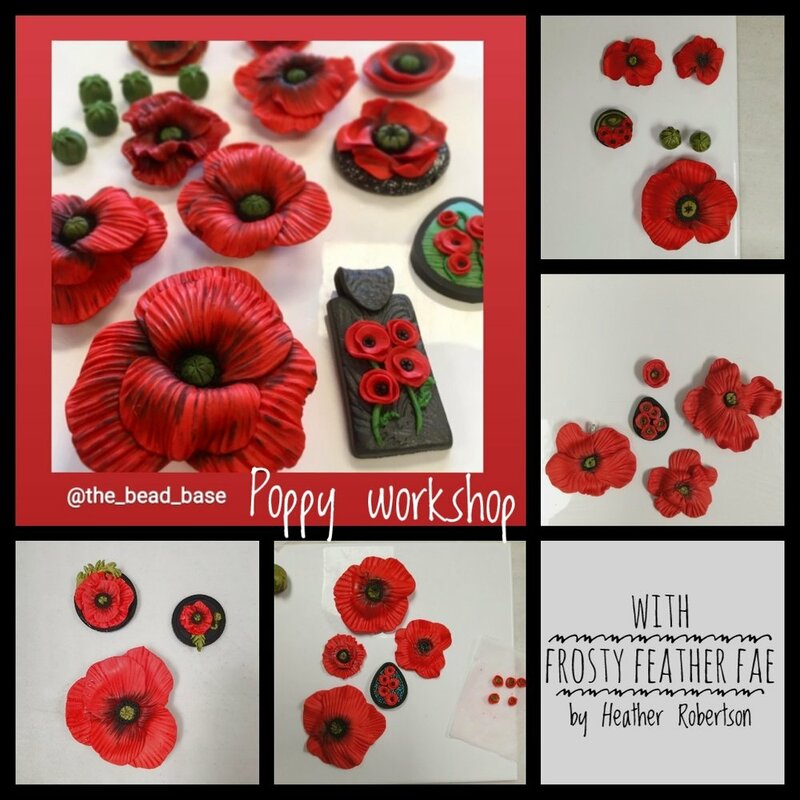 I was recently invited by The Bead Base to run a full day poppy making workshop at their Basingstoke store, which took place on Saturday 03 Nov.
We were all enjoying ourselves so much that cups of tea and coffee went cold on several occasions, and no-one wanted to stop for lunch! Even though a few ladies had never used polymer clay before, everyone made some beautiful poppies and I think we all left feeling pleased with ourselves and with a happy spring in our steps. This is what I aim for with every class that I run. There is so much joy in creating something new, and sharing that creative experience with others. If you are interested in beading and jewellery making, do pop in to see Holly and Sue at The Bead Base store, or visit their website here. They have some gorgeous beads, and run regular beading and jewellery making workshops. Thank you to all who attended on Saturday, and well done!